I wont believe if there is a single person in this world who has not laughed while watching movies or clips of Rajni's movies! It just cant happen. If you think a blind person would not laugh, you are wrong. What if the person cannot see, he can hear right!! Aren't his dialogues enough to kill a person to death? Death by laughing i mean. Bill Gates lives in constant fear that Rajanikanth' PC will crash. Rajanikanth can build a snowman..... out of rain. Rajanikanth can play the violin....... ...with a piano. 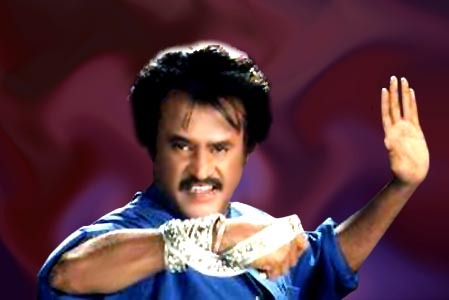 When Rajanikanth enters a room, he doesn't turn the lights on,......... .... he turns the dark off. Rajanikanth once had a heart attack...... ......... his heart lost. Rajanikanth' calendar goes straight from March 31st to April 2nd, no one fools Rajanikanth. Once a cobra bit Rajanikanth' leg. After five days of excruciating pain, the cobra died. When Rajanikanth gives you the finger, he's telling you how many seconds you have left to live. When you say 'no one's perfect', Rajanikanth takes this as a personal insult. Outer Space exists because it is scared to be on the same planet with Ranikant. Rajnikant has counted to infinity.. Twice!! When Rajnikant does a push-up, he isnt lifting himself up, he is pushing the earth down! 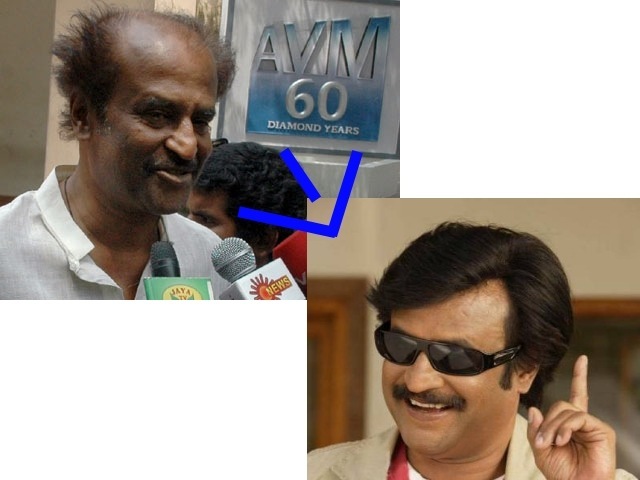 Rajnikant does not wear a watch, HE decided what time is it! Where there is a will, there is a way. Where there is Rajnikant, there is no other way! YENJOYED? Jaws hurting? Stomach paining? I hope you all are alive. LMAO!!! If you are, do leave a comment below! !